The construction of the Grossglockner High Alpine Road in Austria was a monumental engineering feat. Constructed between the two World Wars, during a time of severe economic crisis, this monumental project opened up travel through not only the highest mountain range in Austria but also one of the largest glaciers of Middle Europe. Its construction has since created a hugely popular tourist attraction besides carrying a local myth. 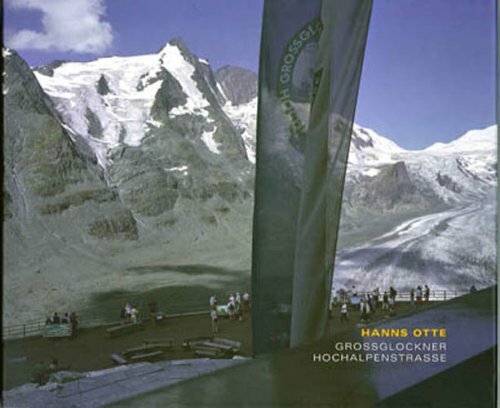 Hanns Otte, over a six year period, recorded every aspect of this road, its natural habitat, its basic topography, its history, and the tourists that flock to its scenic viewing points. To photographer Otte, the mountain and its road have become old friends, with the images reflecting a sense of familiarity and respect. Significant and historical essays by Timm Starl and Werner Otte.